A NZ Herald columnist stated, and so do I: “How much the Prime Minister knew of all these machinations is open to question, but he was captain of the ship that has so badly lost its way and if he was just trustingly negligent does he thus escape any blame?” Can Key shoot the messenger, refuse to read the book and put his head in the sand in Ostrich Syndrome? Did the smiling nice guy have wild dogs on the side? The OSTRICH SYNDROME, where John Key and National supporters are merely passing on DIRTY POLITICS as a "left -wing conspiracy" and rantings of a mad man, without reading the book. This is a way to wish the issue to go away, and assume it does not exist. When I started reading Nicky Hager’s “Dirty Politics”, after first two chapters, I felt myself at home, in a Third World Fiji, or got a feeling it was happening in corrupt India under Congress Party rule. But then I pinched myself, I was sitting in a bus that I drive, was on a job at Auckland Museum in Auckland Domain. But no, this was about happenings in the First World “clean” New Zealand. John Key and the right wingers are trying to pass the book as a “left-wing conspiracy.” It is so easy to shoot the messenger, without embracing the message. I have the appreciation of this, as I have been a victim of the so-called Indian mafia in Auckland which castigated and ostracized me for saying some unsavory truths about their mother India. But that is a different story. But I recognize that the first strategy of a scoundrel is to shoot the messenger, pass the message as a conspiracy, and indulge in Ostrich Syndrome – bury your head in the sand as if the problem does not exist.ably playing Dr Jekyll and Mr Hyde roles. In this process he is indulging in Ostrich Syndrome. This is a peculiar condition marked by the person making absolutely nonsensical statements displaying pure stupidity and lack of common sense akin to an ostrich with the head in ground. The person displays a tendency not only to put his foot in the mouth but to never take it out either, repeatedly. 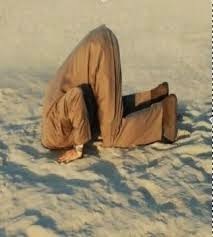 By sticking its head in the sand, the person, like the proverbial ostrich, thinks he cannot be seen by others, and wish the danger would go away. But that is far from the case. Judith Collins came to realize this at her peril. 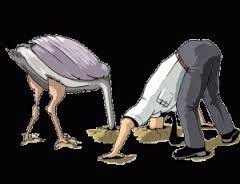 OSTRICH SYNDROME: When somebody, like John Key and the National Party and its supporters, go in this mode, they bury their head, BUT EXPOSE THEIR BUTTS TO THE WORLD. That is what has been done in this case where the dirt within the National Government, in hiring paid hounds and attack dogs remain hidden behind the nice smiles of their leader. After going through the first few Chapters, I was engrossed with the very well-referenced writing which are not the ranting of a mad-man or a ‘nutter”, but well written account of those who are hit with their own weapons and ammunition. What a Karma where those indulging in defaming others through illegally-obtained e-mails are victims of their own arsenal. This is what we call Karma where the philosophy of “what you sow, so you shall reap” kicks in. What better irony than this. 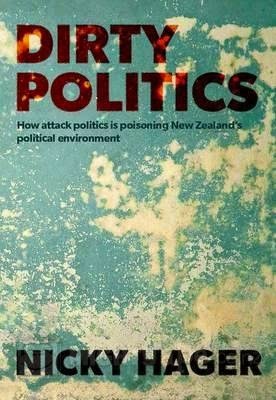 Postings on KIWI PUNDIT with reference to Dirty Politics book will carry a synopsis, interpretations and quotations directly from the book, especially for those who do not get to read it immediately. Indeed, politicians want politics to be left to them, but I believe otherwise as politics should not be left to the politicians, otherwise they will indulge in dirty politics, as they have doing in New Zealand. British statesman Edmund Burke said, “the only thing necessary for the triumph of evil is for good men to do nothing." In the same principle, I take it upon myself as a good and ethical blogger, to tell the inside story of this book that the mainstream media failed to do. I also wish to pass the message to many who will not bother to read, but will shoot the messenger. KIWI PUNDIT is targeting most of the latter. Await further postings of post-mortem of politics gone dirty in a clean country.